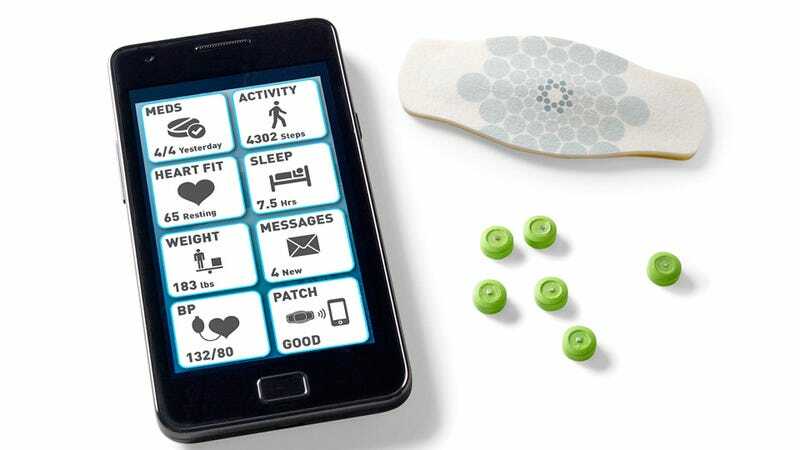 Remembering if you've taken your medication could be a thing of the past now that the FDA has approved Proteus Digital Health's new chip-embedded pills that can report back to a sensor and your smartphone when meds have been ingested. The tiny silicon-based chips are no larger than a grain of sand, and contain trace amounts of magnesium and copper. When swallowed and exposed to digestive juices, those materials produce a slight voltage which can be detected by a special skin patch and relayed to a smartphone. It not only serves as a fool-proof reminder as to if and when you've taken a pill, but it also allows healthcare providers to know for sure if medication has been taken by a patient who has trouble caring for themselves.